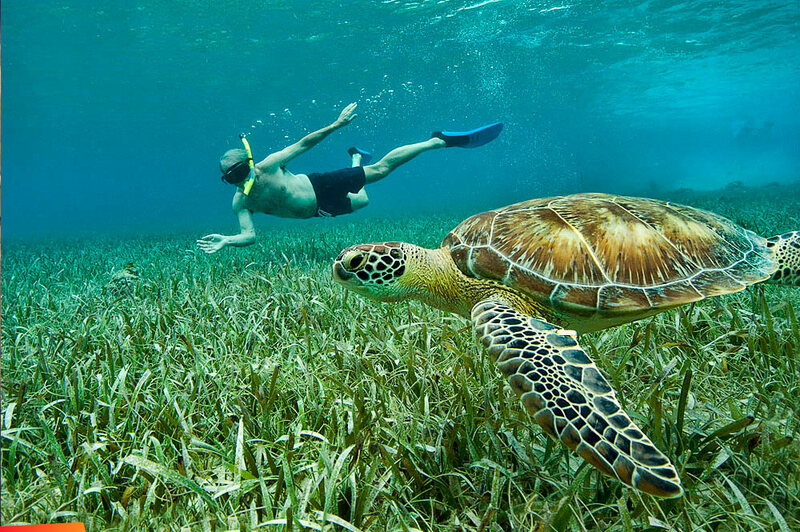 Visitors on their first trip to Belize will most likely want to get to beautiful Ambergris Caye at some point during their trip. 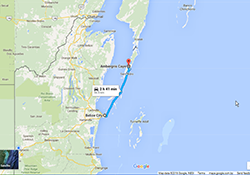 There are two ways of getting from mainland Belize out to the Cayes. The first and more exciting of the two options is to take one of the regional airlines, Tropic Air or Maya Island Air, from either the Belize City International Airport or the Belize City Municipal Airport on the small Cessna Caravan planes. If you are already on the mainland of Belize and looking to head over to Ambergris Caye, you can fly out of the Belize City Municipal Airport. Roundtrip airfare from the Municipal Airport to San Pedro costs just a little over $100 on either Maya Air or Tropic Air. If you are flying into Belize from the U.S. or Canada and heading straight to Ambergris, you will fly out of the International Airport after going through Customs & Immigration. From the Belize City International Airport, a round trip flight is approximately $160 USD. One major perk of taking a puddle-jumper over to Ambergris is the views of the Belize Barrier Reef and the island of Ambergris Caye that you get from a few thousand feet up. For those looking to travel over to Ambergris Caye on more of a budget, or for those who aren’t keen on flying, there are two water taxi companies that operate between Belize City & San Pedro. The trip takes approximately 90 minutes on a mostly open-air boat and a round trip ticket will cost you $28 USD. On a sunny day, it is a great opportunity to get some fresh air and an introduction to the waters of Belize, however on a rainy day it can be a very wet ride! Both San Pedro Belize Express and Ocean Ferry Belize have similar schedules, the first boat departing at 8:00am and the last boat departing Belize City at 5:30pm. To get to the water taxi terminal from the International Airport, you will need to take a taxi which cost $25 USD and takes approximately 20-25 minutes depending on traffic. Once you arrive at the terminal, you can purchase your ferry tickets, as well as snacks and souvenirs, just make sure to line up early for the best choice of seats. Once you arrive in San Pedro, you can easily catch a taxi to your hotel for about $5 USD.